1 x nylon bag for easy storage and transportation. This drill kit is the perfect start into the ONE+ range of power tools. 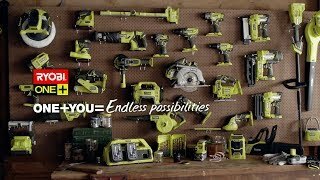 The included charger and battery is compatible with more than 60 other RYOBI tool consoles. That makes this platform great value for money as you expand your collection of tools. Ready to get the 18V ONE+ brushless drill kit? Pick it up from your local Bunnings Warehouse today.